There’s a dinosaur in my backyard! 2) Is in no way shape or form my fault! You may not be able to tell from the photo, but this is not just a turtle, it is a tortoise! She is much larger than she may look. And if she looks big to us just imagine how big she looks to a small dog! It like the yard has been invaded by a dinosaur! Turns out the tortoise was dropped off by my friends brother, in the middle of the night (as all tortoises should be moved- they’re like ninjas and want to have the cover of darkness) and without him bothering to let anyone know that the ninja tortoise was there. When asked about the tortoise her brother told her that since he didn’t have a yard, he figured the tortoise will stay with her. I love everything about this logic – as long as I am not the one receiving a delivery of a giant tortoise in the middle of the night. Tortoise’s live up to 100+ years and can get very very large. They need a special balanced diet t o make sure that they are healthy and eat a variety of grasses that my friend now has to find in order to feed it. This isn’t like giving someone a goldfish (under the cover of darkness), which would be fairly manageable. 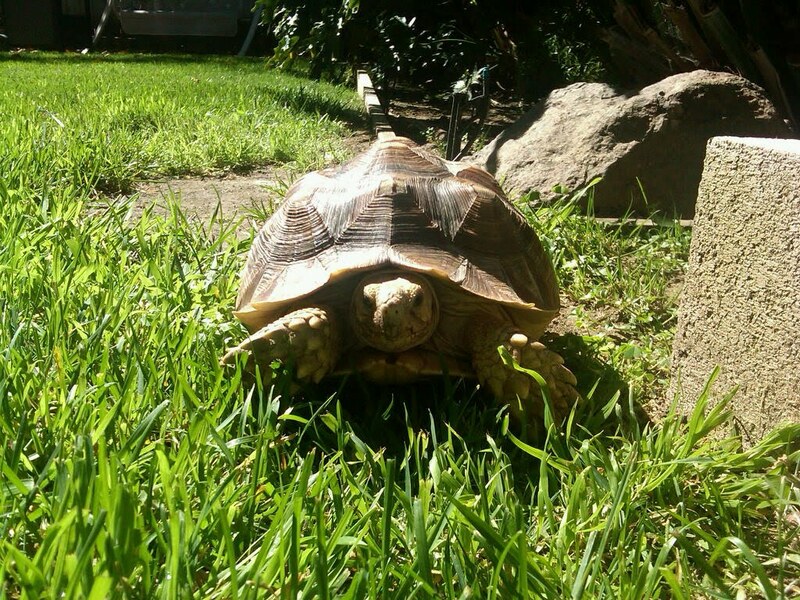 This tortoise likes to dig, and eat the plants in the yard and scares their dogs, and did I mention that it will get HUGE? So my friend called her husband to tell him expecting him to be just as confused and incredulous as she was about this. His response? So everyone welcome Dusty to the family, apparently she has found a home! So update about the monster in my yard is as followed. We have changed her name to Penelope, Dusty reminded me of the George Straight move Pure Country and while i will admit I am a fan, i just can't do that to my little monster. 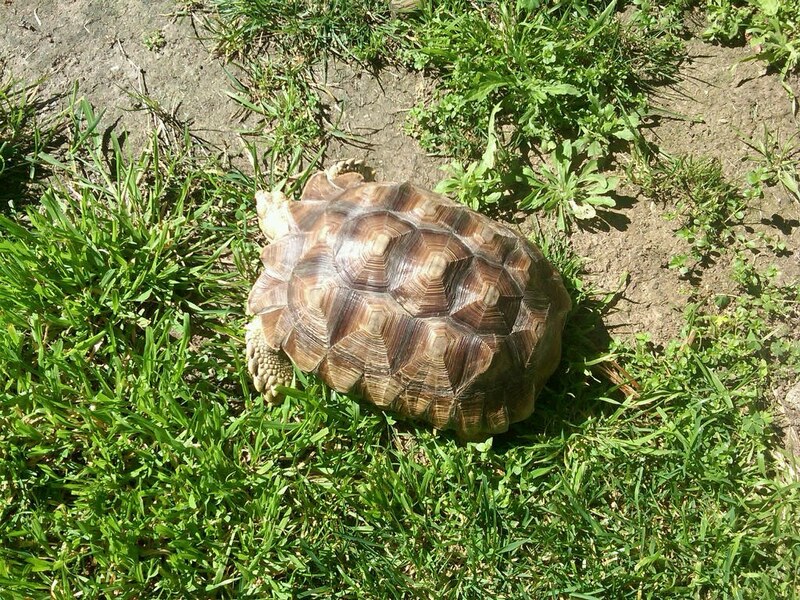 Plus Penelope is a great Tortoise! She is doing grat getting use to the yard and if I am being honest she is growing on me.